Luxury watch maker Tag Heuer already has an Android Wear smartwatch under its name, dubbed as Connected, but it appears we may get to see one more from the company in the coming months. Recently, the company’s CEO Jean-Claude Biver revealed in an interview that the company may launch a new smartwatch later this year in May. The executive didn’t share much details about what the smartwatch will come with, but it will bring a better battery timing, an improved display and reception, and will probably come with Android Wear 2.0 operating system which is expected to launch next month. 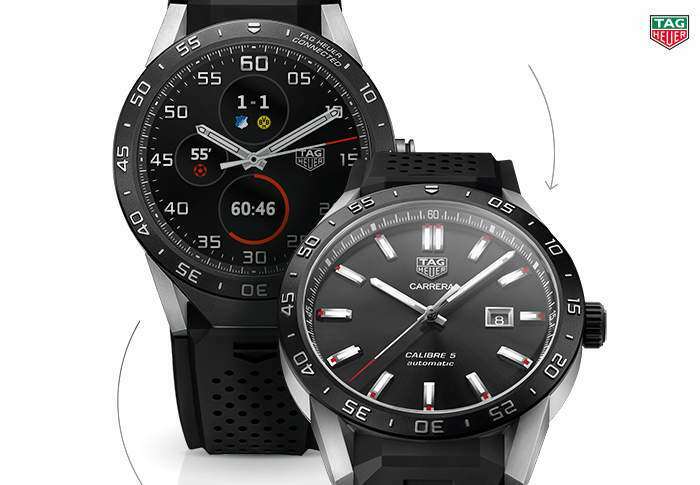 The CEO further shared some information about the sales of the Tag Heuer Connected smartwach, which launch with a $1,500 price tag. The company managed to sell an impressive 56,000 units of the smartwatch, double than what they estimated. Furthermore, the firm believes it can sell almost 150,000 units of the smartwatch which is expected to launch in May. Only time will tell about the sales as it really depends a lot on the price tag and the feature set it has to offer. We’ll update you as soon as the smartwatch is officially announced by the watchmaker.